It is often said that a kitchen is the heart of a home and everyone uses them differently. You may not cook every day, but is there ever a day when you don’t use your sink? The kitchen sink is an essential element for every woman in the kitchen. It’s something that you will use every day. Kitchen sink isn’t something you are going to replacing every year; it needs to last for years to come. It is used for washing hands, rinsing vegetables, cleaning utensils afterwards and so much more. 01. No. of Bowl, i.e. Single Bowl, Double Bowl, Sink with Drain Board, etc. 03. Material, i.e. Stainless Steel Sink, Granite Sink, Cast Iron Sink, etc. 04. Shape, i.e. Rectangular, Circular, etc. We have already discussed about types of sinks in our recent article. 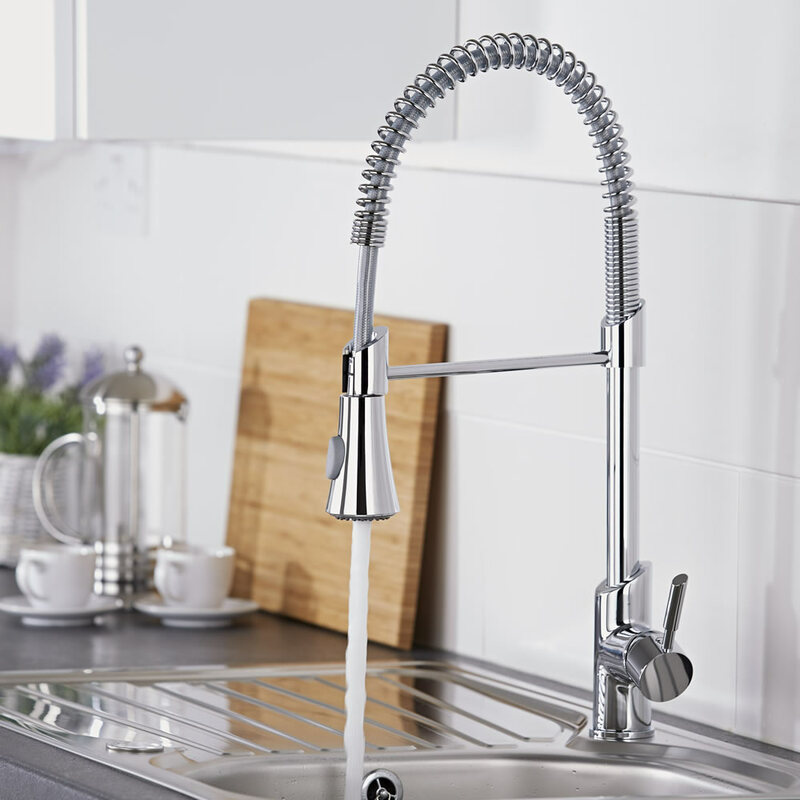 Kitchen sink taps are selected separately depending upon type of kitchen sink. When you are choosing sink taps, the first thing you need to do is find how does match your sink. There are various styles of sink taps are available, like pull down and pull out taps, mixer taps, etc. Cleaning your sink frequently with a clean, soft, damp cloth will keep water spots away. A mild soap and nylon sponge or soft cloth can be also used to wipe your sink. Avoid chemical cleaners if your sink has a protective coating or a custom finish. Also Read: Things to Keep in Mind While Planning Kitchen for Your House! The size of kitchen usually indicates the size of sink you should install. The kitchen sinks sizes are 800 to 1300mm in length and 300mm to 600mm in width. The depth of bowl is generally between 115 to 250mm. The cost of the sink depends on type of kitchen sink you want to buy i.e. either of stainless steel with single or double bowl with or without drain board, etc. The price of the sink approximately ranges from Rs. 2000 to 20,000. 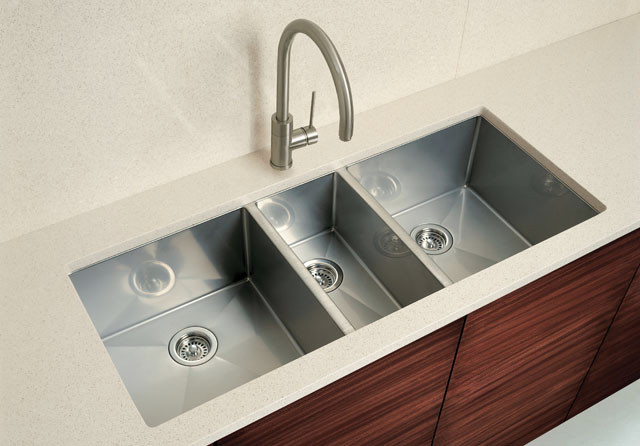 There are many types of kitchen sinks available. You can choose a style that not only enhances your home décor, but lasts for years to come. Whether your taste is trendy or classic, there are sink materials and styles for your kitchen. Different Work Surfaces in Kitchen With Required Clearances!